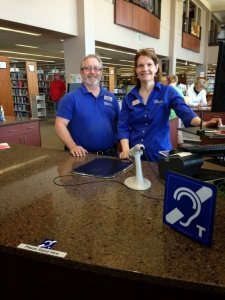 Recently there has been a renewed interest in assistive listening technology in North America. Driven not only by changes in laws – the Americans with Disabilities Act was updated in 2010 and the Canadian Accessibility Act is poised to pass in 2019 – but also thanks to the work of caring hearing providers who would like to help their clients to hear everywhere, and a growing group of passionate hearing advocates are working to raise public awareness for improved accessibility. They are supported by a small but growing, determined group of trained hearing loop installers. Why the Need for Assistive Listening Systems (ALS) in the First Place? Microphone-equipped hearing aids and cochlear implants simply do not come close to replacing impaired hearing function and the phenomenal sound processing that happens in the ears and brain. Add reverberation, distance, and ambient noise, and speech understanding for most is severely challenged. 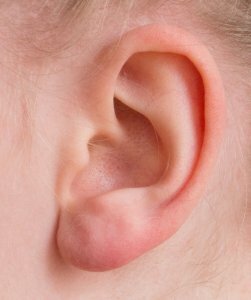 Hearing aids can restore about half of the loss of audibility, they do not affect the user’s word discrimination issues and reduced auditory processing as a result of neurological challenges that are independent of audibility, but they are unable to overcome the user’s word discrimination issues and reduced auditory processing. This situation prevents people with hearing loss from participating on equal terms with hearing people in many public and large assembly areas. In the United States, the Americans with Disabilities Act (ADA) mandates, “where audible communication is integral to the use of the space, an assistive listening system shall be provided” and 25% of the listening devices must be “hearing-aid compatible” (they must link to the device via the telecoil). In Canada disability access standards vary by province. The Canadian Accessibility Access Act is poised to pass in 2019, though many of the details regarding specific access for people with hearing loss (when, where, what kind of assistive systems and number of assistive devices) will need to be worked out in the years to come. How do Assistive Listening Systems (ALS) Work? Cynthia Compton-Conley, PhD3, likened ALS to “Binoculars for the Ears.” Binoculars take a faraway, difficult-to-see image and bring it close to one’s eyes so it’s easier to see as if one is very near to it. So, too, placing a microphone close to the talker’s mouth catches the desired speech at the sound source and sends it directly to the listener’s ears with an exceedingly high signal-to-noise ratio. The microphone used in an ALS becomes the microphone of the user. All ALSs are meant to give listeners access to pure direct sound. 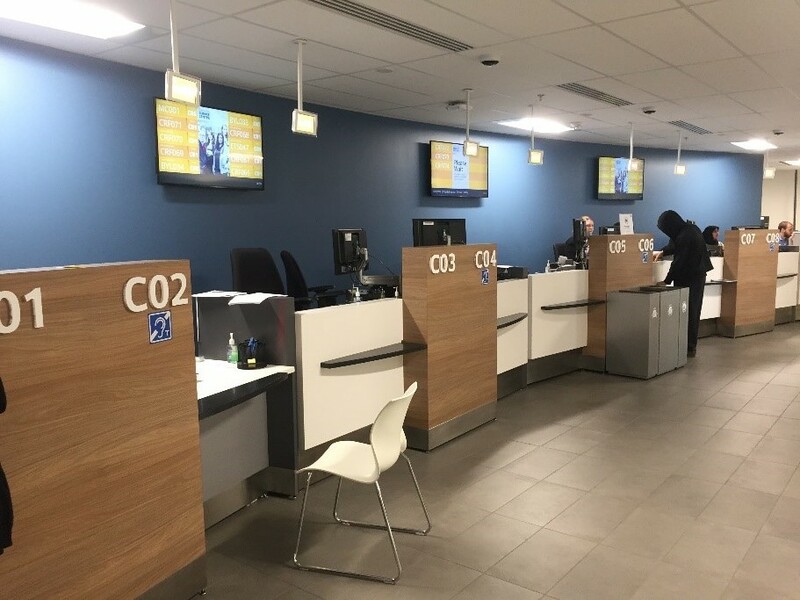 Yet the convenience and usefulness of these systems varies widely and, as surveys have confirmed, users have strong preferences, which means some systems end up rarely being used. Of those responding to a survey4 of hearing-aid wearers by the Committee for Communication Access in New Mexico, only 18% reported always using the equipment when they encounter a system requiring borrowed equipment, while 54.5% reported they always use a loop system when it is available. Currently, there are three technology options for ALS in use in public venues, such as lecture halls, theatres, community centres, government facilities and houses of worship. What sets these systems apart are their method of sound transmission. They are (1) Radio Frequency (RF) or Frequency Modulation (FM) systems, (2) Infrared (IR) systems, and (3) Hearing Loop systems (also known as Audio Frequency Induction Loop Systems). Each assistive listening system has its own set of advantages and disadvantages and all three technologies can be used in a variety of public and private venues, but also at home, at school, at work or when traveling. A recently-developed competing technology uses an existing or a dedicated Wi-Fi network to stream sound to a user’s smartphone in the audience once its respective app has been installed on the device. To date, this technology has not experienced wide-spread use. RF systems transmit sound to a receiving device via radio waves, which work both indoors and outdoors. RF systems are more portable than competing systems and are used by students in classrooms, by tour guides, and in a variety of venues, such as theatres and houses of worship. RF systems can be susceptible to interference, are not universal in their transmission modes, and use multiple frequencies, posing compatibility issues between devices. Anyone wishing to access the transmitted audio signal is required to obtain a venue-specific receiver that is tuned to the correct frequency. Infrared (IR) systems use invisible light waves to transmit sound signals to listeners wearing receiving devices. On the positive side, IR signals remain contained within a physical space and do not “leak” into adjacent rooms, can work well in places not subject to sunlight and are not subject to any RF interference. For this reason, they are most frequently used in indoor facilities such as movie theatres, live performing arts facilities and court rooms. The drawback of these systems is the requirement of an almost direct line-of-sight connection between the IR transmitter(s) and receiver, which can lead to frequent drop-outs of the audio signal. Any physical barrier, a hand movement, clothing, or an exceptionally tall person blocking the IR transmission causes a (temporary) loud staticky noise and interruption of the signal transmission. Advantages of RF and IR systems are not measured in benefits to the actual end-user of the system (the person with hearing loss) but in ease of installation (for the audio company) and/or the lower cost of the system installation (to the venue operator), whether installed in a new facility or as a retrofit to an existing one. RF or IR systems can carry multiple channels without interfering with one another and as such can deliver multiple audio sources (on different frequencies) to users with different needs, such as simultaneous language translation and/or audio-description for blind individuals. What Drawbacks do RF or IR systems Share? RF and IR systems require the person who is hard of hearing to take the initiative to seek out, borrow, and wear a portable receiver. (And how is one to know in advance, that one is going to have trouble hearing a certain presenter or show?) These receivers need to be properly managed and maintained by the venue’s staff. Users of portable receivers frequently report a series of problems, such as being handed a unit with an empty or almost empty battery, intermittent sound and/or unsanitary earphones. The biggest challenge, and one that discourages even the most ardent person in need, is the complexity of the coupling. IR and RF systems via headset receivers deliver the same generic sound to everyone. This is something those with no hearing loss or a mild loss can benefit from, provided the system receives a good sound input from the in-house PA system. Users with a more severe level of hearing loss are basically left to fend for themselves. Users of hearing aids without telecoils or the lack of a telecoil program may have to remove their hearing aids in order to prevent feedback or to make under-the-chin style IR devices fit in their ears. Partners of those with more severe hearing loss have reported audible leakage of sound from the headphones of IR or FM receivers. This causes issues with nearby patrons and embarrassing situations during intermission when the user must re-insert his or her hearing devices in order to make conversation. Users of hearing devices that include telecoils need to ask for an RF or IR receiver with a neckloop. Although neckloops, at least in the United States, are required for 25% of all offered listening devices, those who request them are frequently met with blank stares from venue staff who tend to be fully unaware of even the existence of such a device. Neckloops themselves are fraught with issues – they can become intermittent with rough handling unbeknownst to the venue management, they may have been retro-fitted to an IR or RF receiver whose output is too weak and thus incapable of providing a strong magnetic field in the range of 100–400 mA/m. To compensate for this, some neckloop users have been known to “drape” neckloops over their ears in order to “eke out” strong signals to hear. When users pull the neckloop tightly round their neck and position the neckloop wire directly underneath their ears, their hearing aids may be positioned above the null-point of the neckloop and result in poor signal strengths in the telecoil. Even when the moon and stars align and the user is handed a fully charged, functioning IR/RF receiver with a well-designed or amplified neckloop – one final obstacle may stand in the way between the clear sound from the stage and their ears, as there is no guarantee the installer of the RF or IR system has verified the venue is free from stray electromagnetic interference (EMI), which will be heard as a buzzing sound just as soon hearing-aid or cochlear implant users activate their telecoil(s). Hearing loop systems, also known as audio frequency induction loop systems (or AFILS), wirelessly transmit sound signals from a sound source via minute changes in the magnetic field directly to the telecoil in a hearing-aid or cochlear implant set to ‘T’ (Telecoil) setting. The system consists of a sound source (a microphone on a pulpit, a TV or an array of microphones on a theatre stage) a loop driver/amplifier which processes the signal, and the hearing loop wire itself, a wire in the shape of a loop (or array of copper wires) placed around the perimeter of the seated area in a meeting room, sanctuary or theatre, or crossing the room multiple times in a grid pattern, depending on the venue’s characteristics. Users located within the “looped” area, rather than hearing acoustically transmitted sound mixed with background noise and diminished in quality due to distance and reverberation, hear signals wirelessly transferred from the sound source directly into their hearing device, or into a T-coil equipped wireless accessory such as a streamer or remote microphone. Individuals without personal hearing devices can benefit from hearing loop systems by using a portable headset receiver or LoopBuds (telecoil-equipped earphones), a smartphone and a free app. The performance of hearing loop systems is covered in IEC 60118-4, while the performance of the system components is covered in IEC 62489-1. 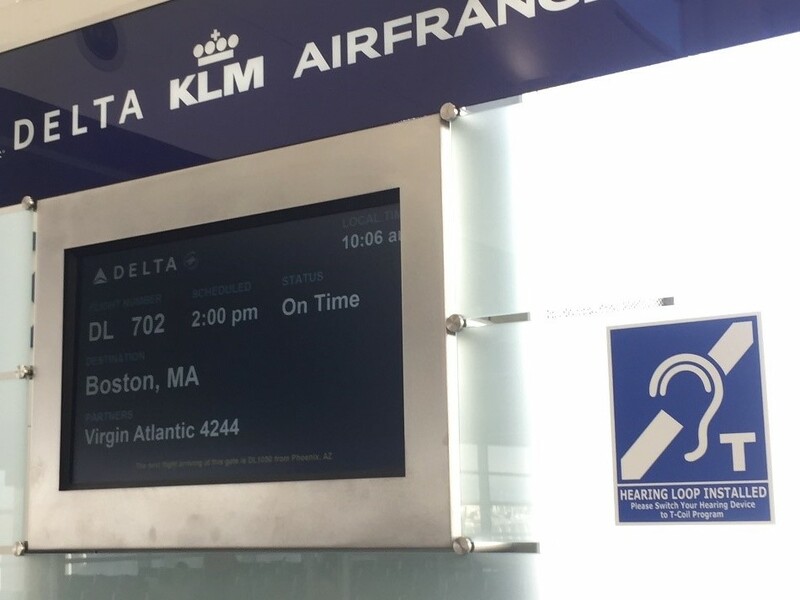 An increasing number of North American hearing loop installers have been trained in the design and proper installation of hearing loop systems. Installers are trained to investigate and work to resolve any issues with electromagnetic interference, typically caused by electrical mains wiring, prior to installing a system. To benefit from the millions of loop systems installed worldwide, users need access to a vertically oriented telecoil with a frequency response that closely matches the programmed microphone sensitivity at equal input levels for the speech frequencies (70 dB SPL vs. 100 mA/m inputs) – something called transparency. Advantages of hearing loops are myriad: Most hearing-aid users and all CI users, need not locate, use and return a receiver because the telecoil inside their personal device is the receiver, and the telecoil is programmed for their individual pattern of hearing loss and thus delivers clearer sound than a generic headphone set, and sound is contained in the ear. Moreover, the system is discrete and dignified in its use. It is available at no cost to the user or at a low cost via an accessory if the device itself does not have a telecoil. It is flexible (users have access to ‘T-only’ or ‘M+T’ setting and recent smartphone apps allow techie users to vary the M+T mix on the fly). And the system can be used in transient situations, such as ticket windows, information kiosks, taxi-cabs or airports. Perimeter (incl. figure 8 or snowman) loops cannot be used at the same time in adjacent rooms due to the spillover effect. However, phased array technology (a “mat” or “grid” of multiple wires) provides significantly less spillover, thus allowing loops to be installed and used simultaneously in adjacent rooms, such as movie theatres. Loops can be more difficult, impractical and costlier to install at some facilities and where electromagnetic interference is present, the interference needs to be addressed before installing a system. Not all hearing aids are telecoil-equipped. However, experience has shown that where hearing loops are installed in a geographic area, the number of T-coil equipped hearing aids increases over time. While it is possible that fewer headset receivers will be needed in the long run, some patrons might not use hearing aids but still have trouble hearing in large venues. Hence, facility owners will still be required to maintain, clean, dispense and collect loop receivers and keep receiver batteries charged, although telecoil-equipped earphones connected to smartphones could reduce this need. Finally, a recent technology which allows users to access broadcast audio via Wi-Fi, deserves mentioning. 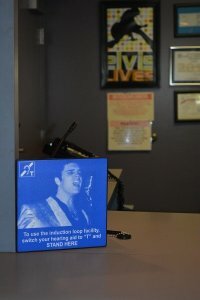 It is not uncommon for facilities to offer a free wireless hotspot to access the internet using their smartphone – and increasingly, via an app, a dedicated audio service to listen to. This type of service is known as ‘Bring Your Own Device’ or BYOD, as the intended users of the system are expected to be carrying their own receiver (a smartphone with headphones, earbuds, or a neckloop). 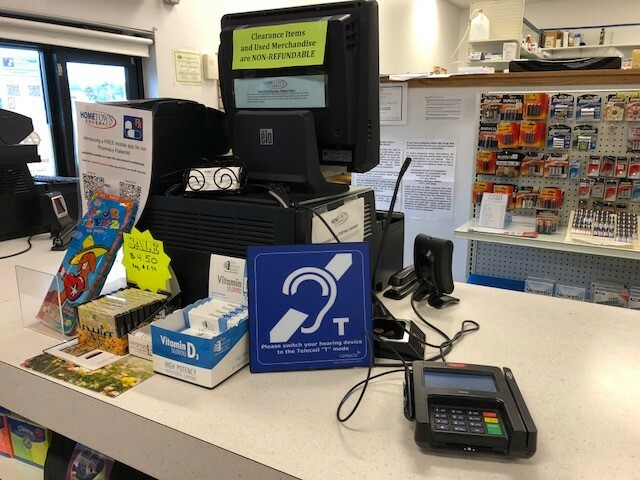 This kind of system does not qualify as a public assistive listening system, as venues would not likely handout smartphone receivers to patrons. It is not user-friendly (it requires a certain level of tech-savviness). And transmission latency delays from the smartphone to so-called wireless hearing aids can negatively affect the user experience. Plus, keeping sound transmission from a smartphone to a hearing-aid powered by a tiny hearing-aid battery going – without interference – for a 2-hour long Broadway show, is a tall order. 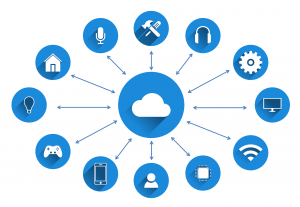 While the companies that sell these Wi-Fi based systems enthusiastically praise the ease of installation and low cost to the venue as the techie way of the future, they fail to take the end-user’s needs into account. Currently, there are no consumer studies available that confirm this optimism. Do Consumers Have a Preference? Consumers have been announcing to the world for years that they do not like using headset or neckloop receivers, as most such systems sit unused in the back of venues gathering dust. Some venues have interpreted this as evidence that (these) ALS are not needed, only to discover upon installation of a hearing loop system, that they gather heaps of user praise. Several consumer surveys have confirmed that users prefer hearing loops. 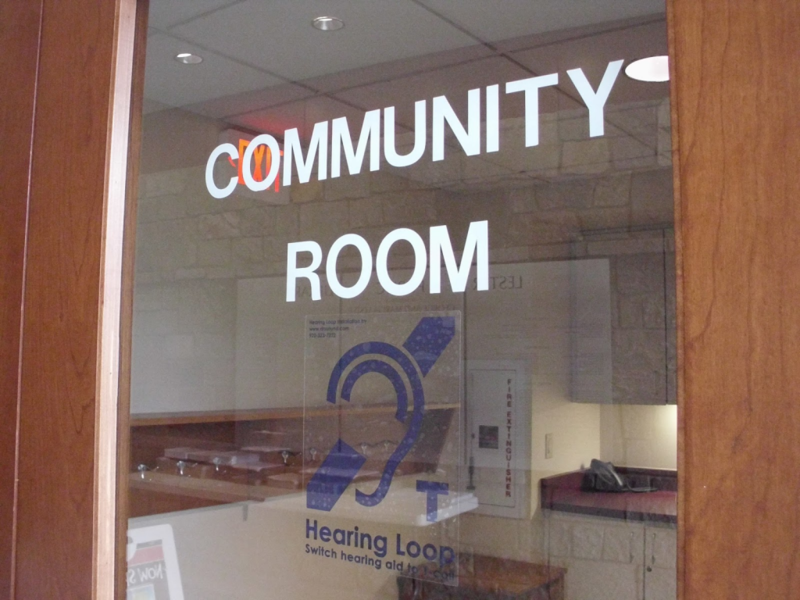 When and where consumers experience hearing loops, they are frequently vocally and assertively moved to foster additional loop installations in their community. Thus, in one survey,5 866 people with hearing loss who had experienced hearing loops hugely preferred them to listening in non-looped settings. The average response on a 10-point user satisfaction scale was 4.9 in a non-looped setting and 8.7 in a looped environment. 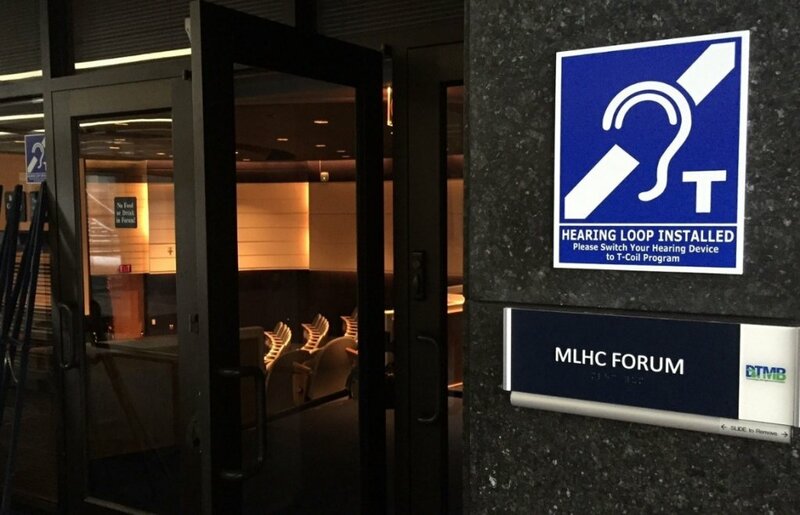 Two online resources, www.LoopFinder.com and www.ALDLocator.com, are working to gather recent hearing loop and other ALS installations in the United States. The International Hearing Loop Manufacturers Association (www.IHLMA.org) is working with grassroots hearing loop advocates around the world to develop an international loop locator site. How Can the Hearing Industry Help the Very People Who Are Their Raison D'être? Among wireless technology experts in the hearing-aid industry it is generally understood that a universal worldwide replacement technology for t-coils and hearing loops is likely 5–10 years out – and some surmise even longer. And it will take years before all current hearing aids are replaced with compatible to a yet-to-be-named wireless-standard of the future. Hearing loss and hearing loop advocates are ready to promote a new wireless public assistive listening technology with universal device-compatibility once it becomes available. In the meantime, users of hearing aids and cochlear implants deserve access to public venues. Hearing loops and telecoils deliver this access with no fuss. Today. In April 2018 the German Hearing Loss Association (DSB) and the German Federal Guild of Hearing Acousticians (BIHA) signed a joint declaration concerning hearing loops emphasizing their lasting importance. To enable seamless use of telecoils and help clients get more from their hearing aids, consumer advocates have suggested the hearing industry focus on a few key improvements to telecoils, such as (1) providing telecoils in all hearing aids and user accessories, (2) consistent microphone vs. telecoil transparency in the programmed setting, (3) simple educational handouts provided by the HA MFR with every T-coil equipped hearing-aid sold, (4) a hearing loop in every hearing-aid dispenser office for T-coil validation, powerful demos and hands-on training, (5) development of effective EMI filter function in hearing aids, and lastly, (6) hearing loop sensors that alert users to the presence of active loop systems with an audible signal. When the time comes that a new universal worldwide assistive listening standard becomes available, public venues, already conditioned to focus on effective hearing-aid compatible hearing access – will not object to adding that new “5G” or “Greentooth” wireless transmitter, to help a new generation of hearing-aid users hear while the hearing loop continues to serve the older devices still in use. I am hopeful that the combined efforts of North-American hearing professionals, the hearing care industry, people with hearing loss and the organizations that support them (such as CHHA, CHS, IFHOH, HLAA and ALDA), will enable hearing-aid-compatible assistive listening to spread across this continent — to the betterment of the lives of all consumers with hearing loss, those who love them and those who serve them. I have been at the forefront of making this happen in my community and it is exciting to witness. Where in my state, Wisconsin, there were once half a dozen hearing loops, that number has recently passed 715 with no slow-down in sight. As Dr. David Myers (hearing assist advocate from www.hearingloop.org) says, “effective loop systems double the use of my hearing aids; from hearing whispers spoken on a local theatre stage, announcements at the Grand Rapids Airport or my minister’s thought-provoking sermons – all I need to do is push on my telecoil.”8 How can that not be great for everyone involved? Killion M, et al. Development of a quick speech-in-noise test for measuring signal-to-noise ratio loss in normal-hearing and hearing-impaired listeners. JASA 2004;116(4)Part 1:2395–405. Dirks DD, Morgan DE, Dubno JR. A procedure for quantifying the effects of noise on speech recognition. J Speech Hear Dis 1982;47:114–23. Frazier, S. Hearing loops get the vote. Sound Communicat October 2016. Dutch born audiologist Juliëtte Sterkens, AuD, retired after a successful career in private practice, is heavily involved in the grassroots advocacy campaign for wider use of hearing loop technology in North America. She is a consultant to the Hearing Loss Association of America (HLAA).